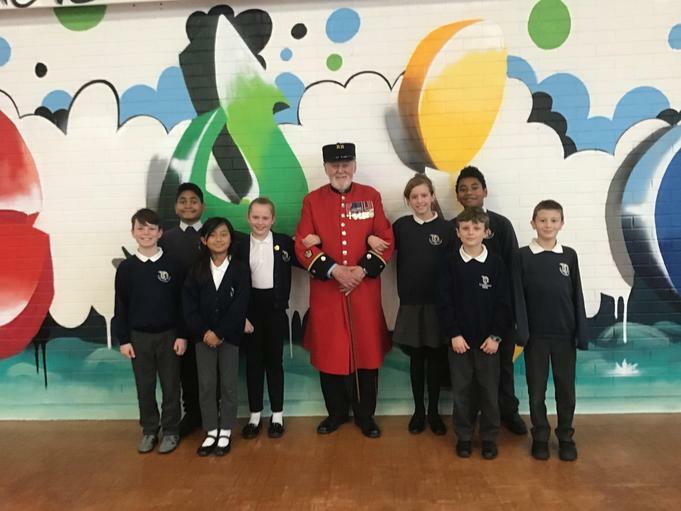 This Friday we were honoured by a visit from the Chelsea Pensioner, Brian Cummings, MBE. Some of our Young Governors took him for a tour of the school and then he joined us for our achievement assembly. He spoke to the children about his life at The Royal Hospital in London and even invited us to visit him there! Thank you so much for visiting us. It was a privilege to here all about your amazing life!